You can learn at another person's pace. Get to see what the beltway looks like at 8 am. Sit next to that annoying guy from Finance. Get another 2 1/2 inch binder. Leave at 4:30. Hey, does the beltway look the same at 4:30? Complete a level 1 evaluation and let them know the trainer was real nice, but the room was cold. Because there's a good chance I can be told "to put my phone away." I get to take the class once and if I need to review it, well maybe there's another one soon. Who doesn't love a slightly awkward icebreaker? Feel free to add your own in the comments section. 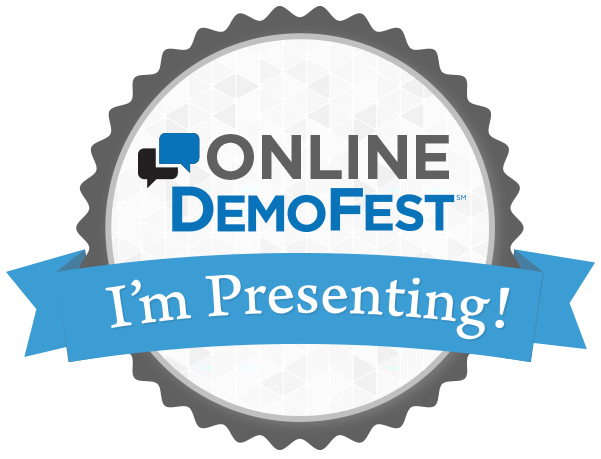 This August 19th and 20th the eLearning Guild will be holding the first OnlineDemoFest, I am really excited to see the great work that will be shared and also honored to be one of the presenters - I will be sharing my “Mission:JHome Content Manager“ course. Hope to see you there. 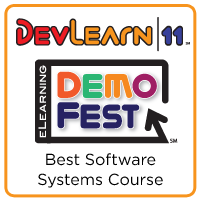 To attend, register on the eLearning Guild’s Online DemoFest page – DemoFest:Real People, Real Projects, Real Solutions. Let us know you are attending and what you think of the courses using the #elguild hashtag.